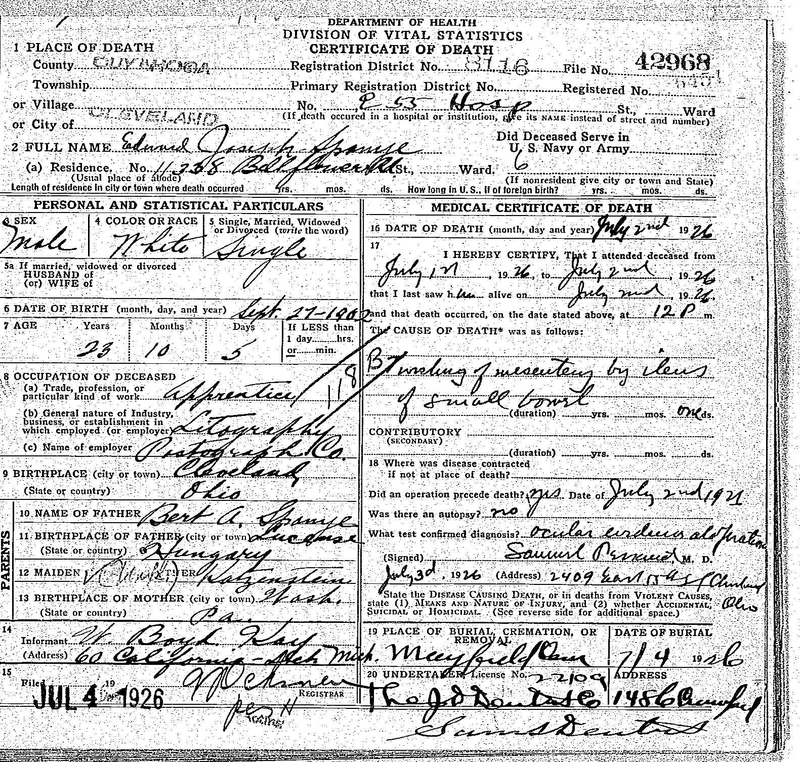 This entry was posted in Cleveland, Genealogy, Katzenstein and tagged Cleveland, katzenstein, Miami, Pennsylvania by Amy. Bookmark the permalink. Amy, the mausoleum war erected for S.J. Katzenstein in 1901 ? Unsual for a small (?) Jewish cemetery. Mor like Berlin Weissensee etc. Hi Dorothee, I am not sure when it was erected or whether it was unusual at the time, but I will check into it. Thanks! Thank you for the link – just about what I thought. In Wash.PA perhaps there were several congregations? Anyway, Rabbi Matzner retired as late as 1978 , and he certainly was not a reform rabbi. I’ve written to the cemetery for some history, and I will let you know! 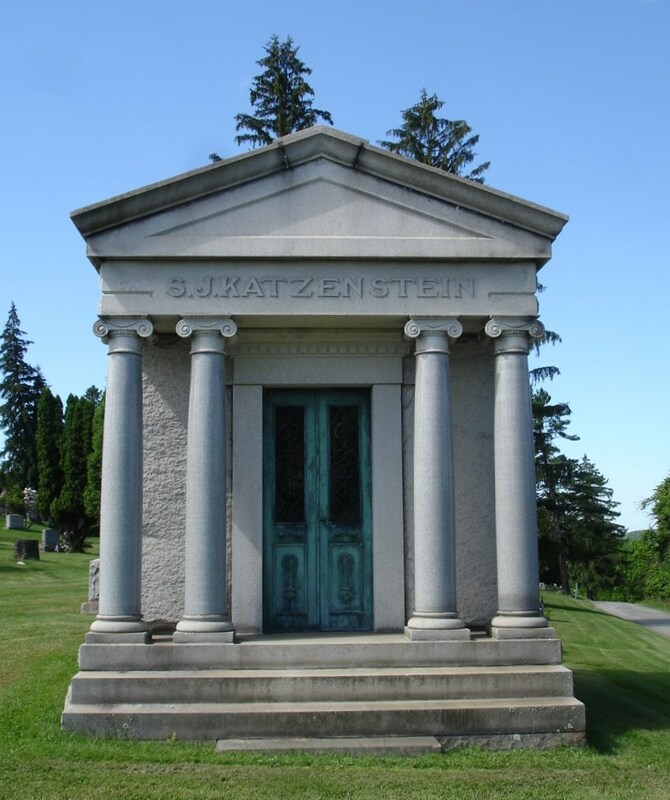 According to the cemetery, the plot for the mausoleum was purchased in April 1902, so a while after SJ’s death. The cemetery person had no information about how common it was for Jews to use a mauseoleum. But this isn’t a Jewish cemetery—I think it was the only cemetery in Washington at that time. It was established in 1853 and is non-denominational. You’ve often mentioned the city directories in your posts. 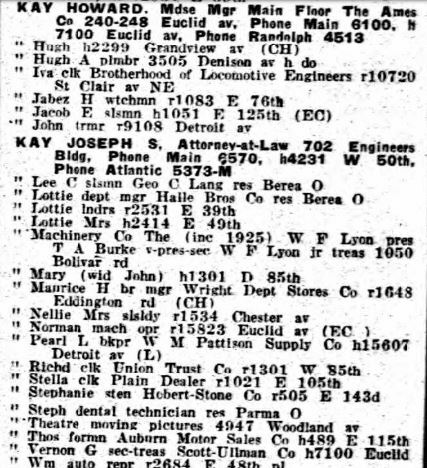 Most of my ancestors lived in rural areas but I discovered my great-grandfather’s widowed brother was living with his son in 1932 in Beckley, WV. Maybe I should check a few other names. Thanks for including so much great information in your posts. Thanks, Cathy. Yes, I LOVE the directories. I’ve been lucky that most of my relatives lived in big cities (not surprisingly for Jewish families), but even some of the smaller towns have directories on Ancestry. You never know! Always anxious for one of your post with all the great detail and facts. 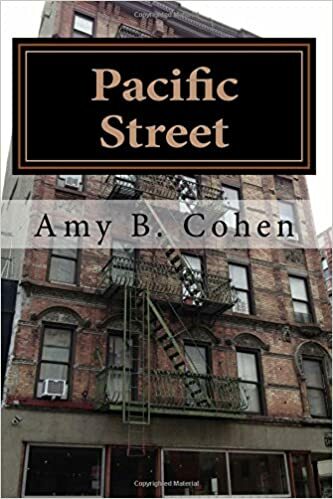 BUT have to tell you, I got my reading cut out for me, your book, Pacific Street, arrived yesterday, started it today and enjoying it tremendously! Thank you, Sharon! I can’t wait to hear what you have to say. Please leave a review at Amazon if you can. Thank you! I wonder why Kay and not Katz. That’s why I think their motivation was to make it less Jewish, not just shorter or less German. Katz is about as Jewish a name as you can get as it’s an acronym for Kohen Tzedek or just/wise priest. That is probably true. A lot of people must have changed to Kay because it’s quite common. Not to mention Danny Kaye ;). Yes, he was a Kaminsky! I used to enjoy his tv show. Hurrah for those family members who help us along! Yes, and for our fellow genealogists! I wondered about the Kay/Katz name too. Someone has helped me with a trace named Mr. Katz. Thanks for the info about the acronym. Really enjoying Pacific Street. Love the character build and awaiting the meeting between G&I. 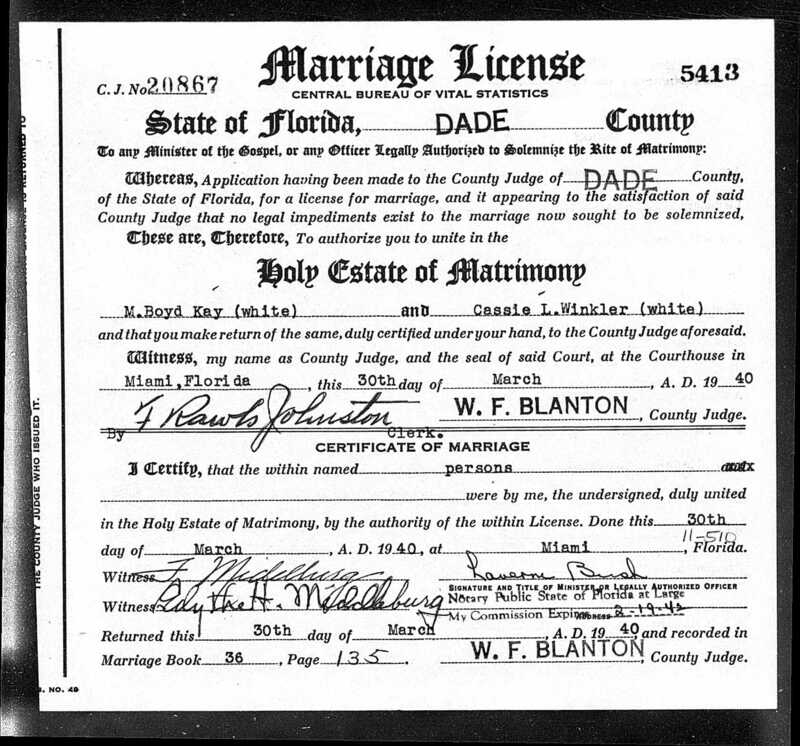 I am fascinated by the divorce decree, the ” extreme cruelty,” he a physician, and that he remarried. Were you able to learn any details about their marriage and what happened? 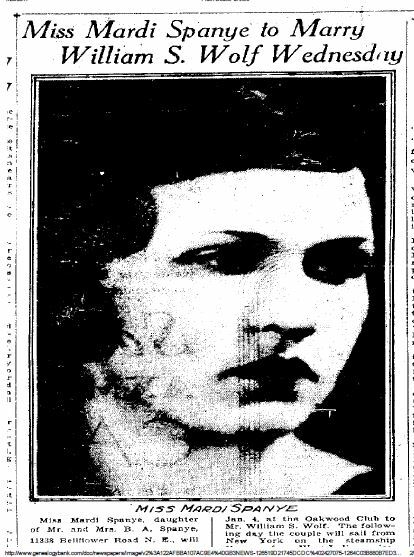 This appears to be in 1926, but even later (as in the early 50s when a family member divorced and was reprimanded for it, even though the reason was the same), there was a stigma to divorce. My family member was told by her own mother, “We don’t divorce in this family!” even though her child had been abused. Could it be that the “extreme cruelty” in this case was hidden, enabling him to remarry? Hi Karen, I have no other information about their marriage nor do I believe I could find any. But remember that back then there was no such thing as no fault divorce—there were limited grounds such as adultery or extreme cruelty. It may mean nothing more than that they had to find some basis to get a divorce decree when it might have been nothing more than incompatibility.